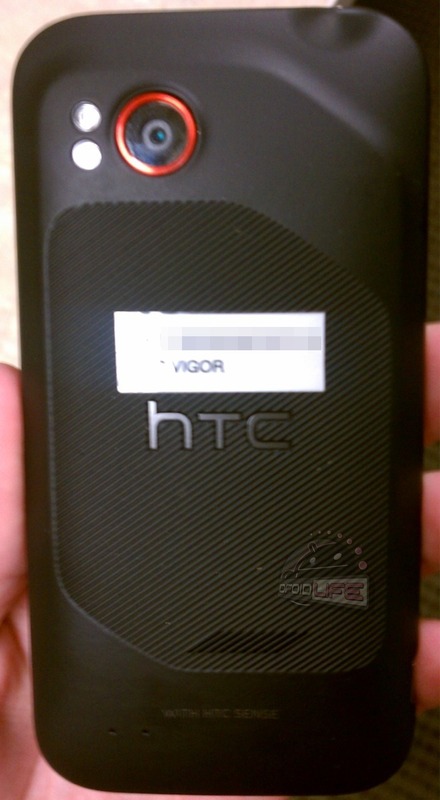 Hello, HTC Vigor. You have eluded us for the most part up until now, but we are excited to finally get a clean look at you. With your red accents, big beautiful screen, and black rubbery Incredible-esque contoured back, we would gladly accept you into our everyday lives. 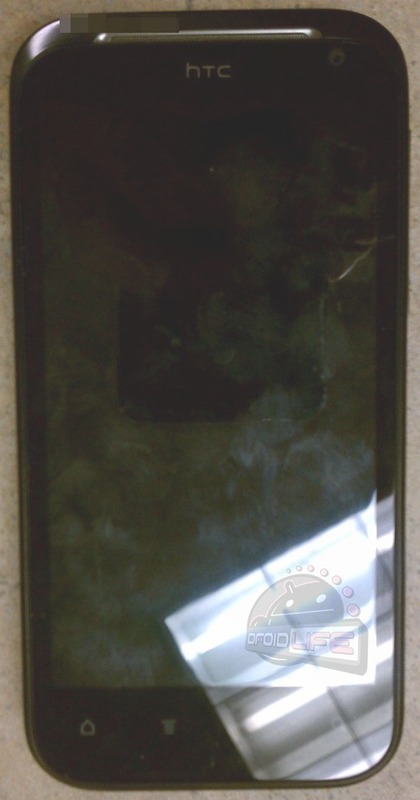 Rumored to be Verizon’s next big 4G LTE device to follow the Bionic on October 6, we can gather a couple of things from these first pictures. It definitely has HTC Sense, but we weren’t expecting it not to. There is a front camera embedded in the top right corner of the device, above a screen that looks massive. The device styling overall seems like an Incredible on steroids – something you won’t find us complaining about. We aren’t seeing a 4G LTE logo anywhere, but also are not seeing a Verizon logo, so will hold off from throwing too big of a fuss. It is likely just a test unit without any carrier branding. *Note – While I mentioned that the device looks like an Incredible, a few readers pointed out that the color scheme also hints at DROID branding and a previously rumored HTC device. Could the Vigor end up as the Incredible HD? Just a thought. Other potential specs that separate sources have told us were: 4.3″ HD screen, 1GB RAM, 16GB internal storage, 1.5GHz dual-core processor and Beats by Dre technology. There are no indications that this device has Beats technology on the outside, but we have been told that it could be software-related.